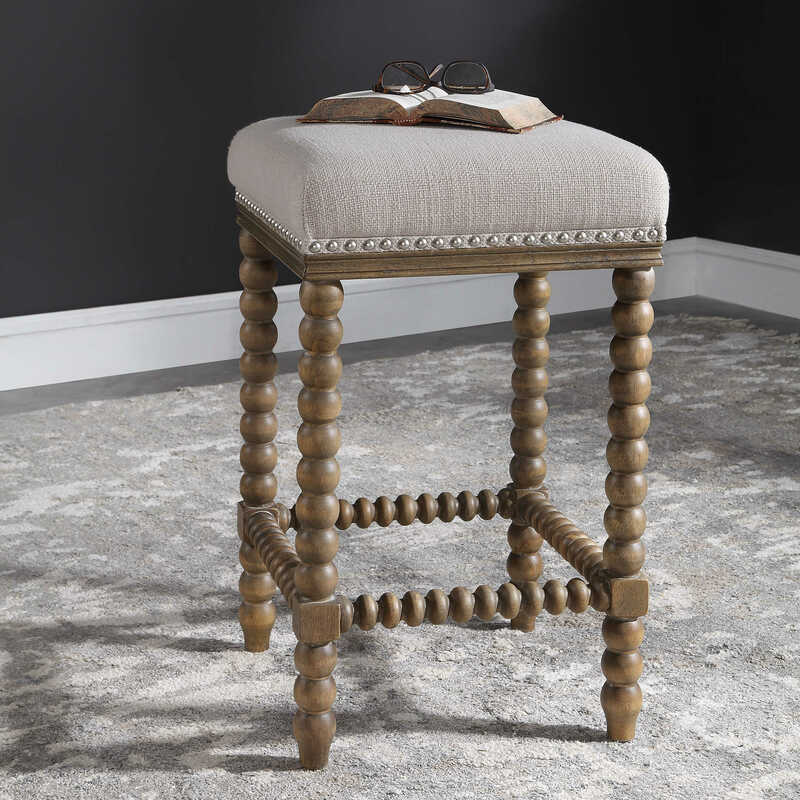 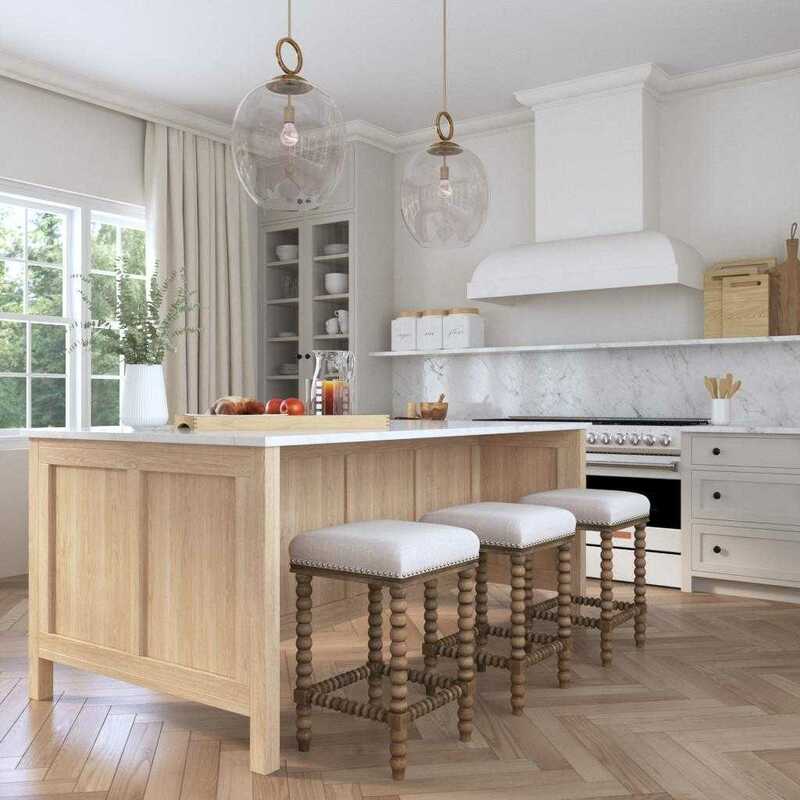 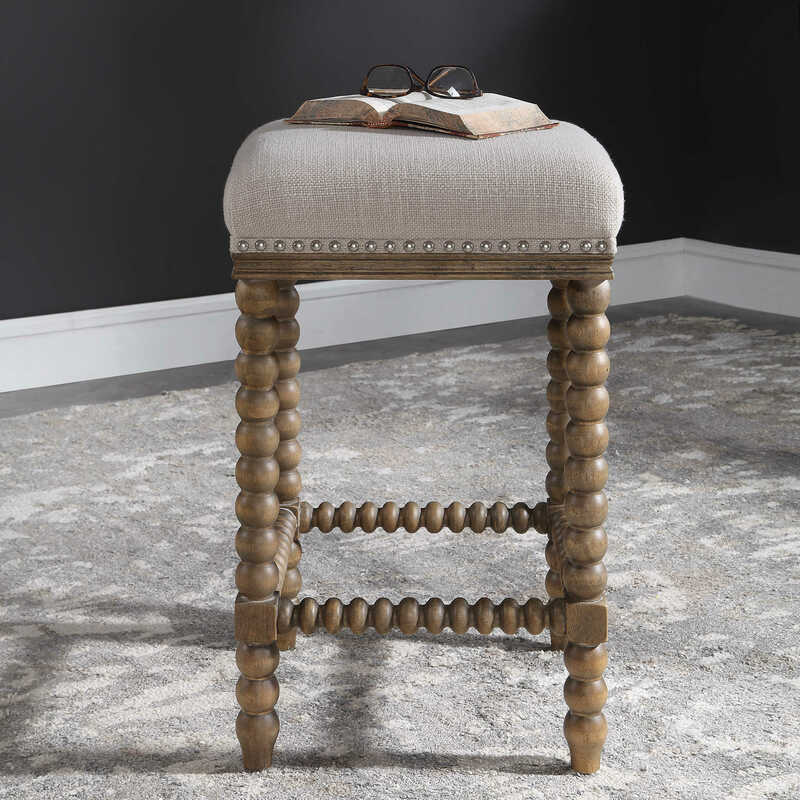 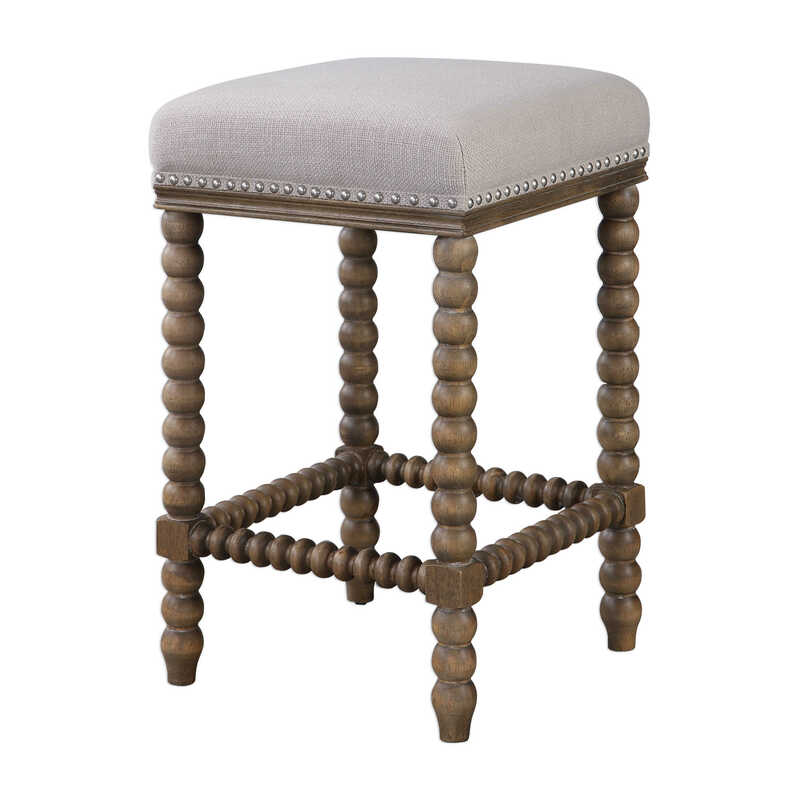 A casual statement counter stool featuring spindle turned legs and carved trim finished in a light walnut stain. 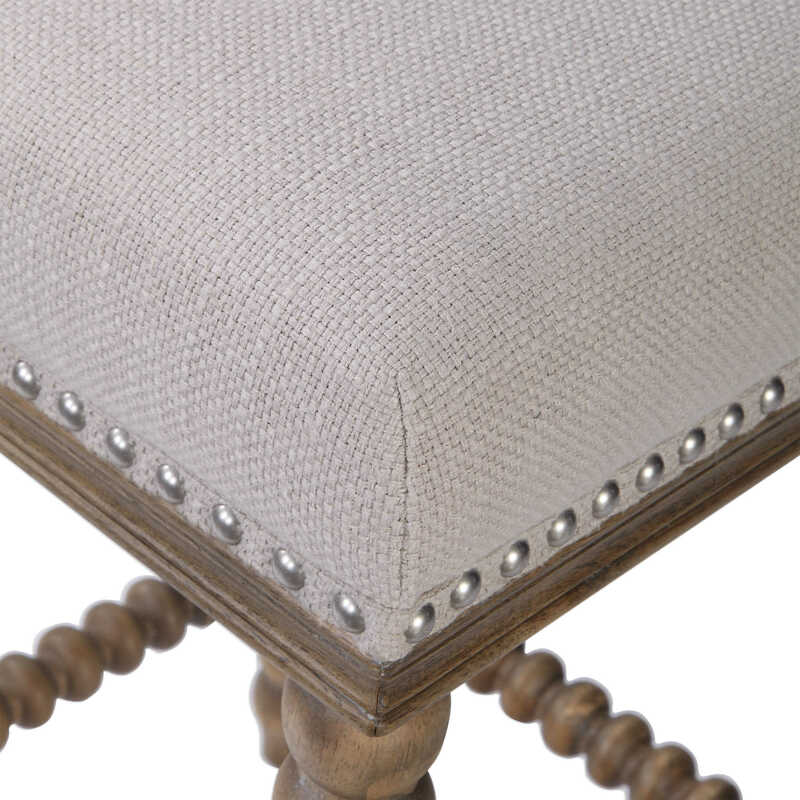 Plush seat is tailored in a soft ivory linen blend fabric accented with brushed nickel nail head trim. 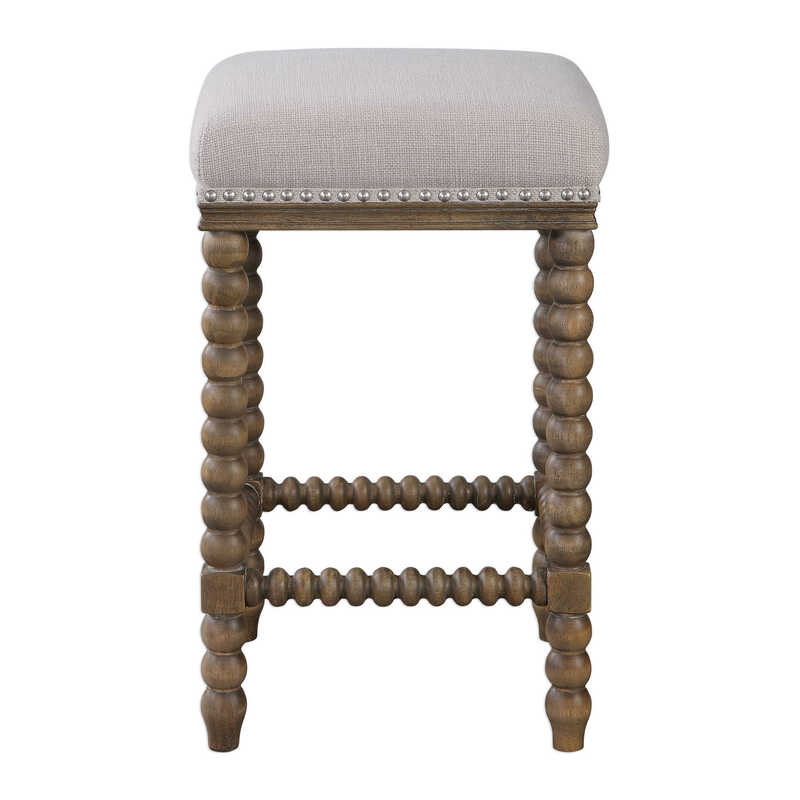 Seat height is 26".